The New Year is just around the corner, are you and team ready for your upcoming Magento 2 projects? We’d like to share our thoughts about hiring awesome Magento developers! Every now and again, a client of ours communicates a desire to take some of their site development “in-house.” As the company matures, becomes comfortable with the technology, and their online environment stabilizes, they naturally progress to the point where they desire to do it themselves. Simply, the client feels secure in knowing that we are still there to assist in their growth as a company, particularly in the competitive e-commerce arena. What’s more, we’ll even participate in the interview process. Now, in this scenario, does the developer simply paint the sky orange? Or, should the Magento expert ponder that request and make recommendations as to what he or she thinks appropriate? To keep the business out of serious trouble, the Magento specialist could respond with a thoughtful viewpoint based on his depth of experience in the field. It’s also important that the developer is more than just a coder. Not only must he possess a thorough knowledge of software design patterns, but he also should have an awareness of deployment best practices as well as development best practices (PSRs) ― and know the complexities of Magento configuration. Magento has a lot of power in its Admin Panel, and oftentimes, development is not even necessary. Since its General Availability (GA) release occurred back in November 2015, Magento 2 is now approximately 36 months old, which is ample time for a Magento developer to have been part of a single project or even multiple Magento 2 projects. Certifications for Magento 2 development have now been available for a few months. And, though certification is one benchmark, it’s not the true indicator of an expert Magento developer. The mark of expertise in Magento: the ability to reference a highly functional commerce site or two. Could a Magento 1.x Developer Work in a Magento 2 Environment? Absolutely, but, it’s quite a paradigm shift, and taking the Magento 2 Fundamentals class is highly recommended. Again, nothing beats practical experience (as I may have said before). Magento 1.14 is slated for depreciation in June 2020, which means that the value of Magento 2 resources is on the rise, and, as a result, Magento 1-only developers are seeing a decrease in their value. It’s important to hire someone who is excited about the technology, and one barometer of their enthusiasm is their level of participation in the Magento echosphere. Has the candidate attended Magento’s Imagine conference? Has he or she stayed active in local meetup groups? Or, has he had the privilege of writing an extension that’s available on Magento’s marketplace? Even more impressive would be if the resource has been recognized by Magento for participation in the Community? Another barometer of expertise is the developer’s relationships with other Magento partners, such as Emarsys, Klevu or Yotpo. Have any relationships been built externally to Magento, or have they been simply Magento only? This isn’t a “make it or break it” type of qualification; but, more of one that suggests relationship building capabilities. 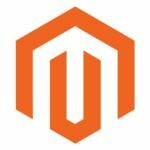 Magento is more than just a complicated beast… it’s over 20,000 fun-filled files (and even more when including third-party extensions and custom code). No one resource is going to excel at it all. It’s certainly possible that a back-end developer may be able to work the front end (in a pinch), or vice versa. But, just because you have the capability to build a jet engine, it doesn’t follow that you can necessarily fly or pilot the plane. So, be cautious if any one individual claims that he can “do it all.” Grand claims can lead to grand disappointments. This is one reason we will continue to have success in our ability to manage a project with the most effective resources — the ability to cherry-pick from our pool of resources to find the best fit for the scope of the project. If you hire an inexperienced junior developer to develop your site, it will not be successful. And, while Magento is based on PHP, a PHP (non-Magento) developer will not create a viable site. We’ve seen this again and again: Your online business is not the place for someone to learn a new technology. Hire the best and brightest — and your site development will be accelerated, which translates to a shorter time to market for your Magento site and commerce buildout. Keep measuring and adjusting as needed. Any further questions? Feel free to contact us.